The Best Gambling Addiction blogs from thousands of top Gambling blogs in our index using search and social metrics. Data will be refreshed once a week. Sydney, NSW About Blog My name is Sam and. I became a problem gambling counsellor because it was a subject close to my own heart and family. Facebook fans 7,286. Twitter followers 679. About Blog The Gambling Addiction Blog keeps you up-to-date with all additions and changes to the Help With Gambling Addiction site. Subscribe here! Los Angeles/New York About Blog The Fix is the world's leading website about addiction and recovery, featuring a daily mix of breaking news, exclusive interviews, investigative reports, essays and blogs on sober living, lifestyle and cultural resources, as well as knowledge and wisdom from expert counsel. Facebook fans 130,758. Twitter followers 14,686. Facebook fans 3,883. Twitter followers 4,410. Arizona, USA About Blog Recovery Starts Here is a Bet Free, Sober, & Clean Blog Sharing Hope in Recovery One Day at a Time written by Catherine Townsend-Lyon. Facebook fans n/a. Twitter followers 4,652. San Francisco, CA About Blog A resource for individuals who have struggled - or know somebody who has struggled with a gambling problem. Facebook fans 1,131,229. Twitter followers 496,834. Washington, DC About Blog Our mission is to lead state and national stakeholders in the development of comprehensive policy and programs for all those affected by problem gambling. Our purpose is to serve as the national advocate for programs and services to assist problem gamblers and their families. And our vision is to improve health and wellness by reducing the personal, social and economic costs of problem gambling. Facebook fans 1,062. Twitter followers 1,576. Santa Clarita, CA About Blog Valley Recovery Center provides specialized treatment for men with addictions to alcohol, drugs, gambling, and more. We are family owned and operated, and the community and environment we create for our residents reflects that. Facebook fans 1,456. Twitter followers 1,516. Massachusetts About Blog The Massachusetts Council on Compulsive Gambling advocates for responsible gaming and gambling practices and services for those affected by gambling. We aim to reduce the impacts of gambling disorder and strive to make gambling healthy and safe for the people of Massachusetts. Facebook fans 2,258. Twitter followers 1,019. Queens County About Blog The Queens Center for Excellence (QCFE) is a program of the New York Council on Problem Gambling. QCFE is dedicated to addressing the issue of problem gambling within Queens County through increasing public awareness and connecting those adversely affected with services that can help them. QCFE is dedicated to the positive transformation of lives harmed by problem gambling. Prescott, AZ About Blog Learn how you or your loved one can beat an addiction to gambling at one of America's only gambling-specific treatment facilities. Facebook fans 29. Twitter followers 1,082. Boulder City NV About Blog Lanie's Hope is a national advocacy group dedicated to humanizing and illuminating the disease of compulsive gambling. We envision a world in which pathological gambling is understood to be a disease vs. a moral weakness; where the pathological gambler is treated with dignity and compassion; where resources and support are available to the pathological gambler and their loved ones. Facebook fans 435. Twitter followers 585. Columbus, OH About Blog Be The 95% is a state-wide initiative created by Ohio for Responsible Gambling (ORG) to reduce problem gambling and to build awareness of resources available for prevention and treatment of gambling disorder. Facebook fans 2,837. Twitter followers 115. Lancaster, PA About Blog Whether you're personally struggling with compulsive gambling, seeking help for another, or trying to prevent problem gambling behaviors, Compass Mark offers the resources to guide youth and adults on a journey toward lives free from addiction and full of promise. Facebook fans 1,073. Twitter followers 418. Derby About Blog My name is Andy and I'm a compulsive gambler, Derby Co. Vlogger discussing my gambling addiction, trying to help others who want to know more. Victoria, Australia About Blog The Victorian Responsible Gambling Foundation aims to reduce the prevalence and harms of problem gambling and to help those who choose to gamble, to do so responsibly. Facebook fans 6,948. Twitter followers 2,236. New Zealand About Blog Eliminate harm caused by gambling by providing counselling and support throughout New Zealand for individuals and families. The Foundation is committed to health promotion that contributes to more responsible gambling. Facebook fans 1,060. Twitter followers 1,481. Waterford, Ireland About Blog Our Mission is to provide a dedicated, independent suite of supports, resources and referral pathways for problem gamblers and their families. Facebook fans 149. Twitter followers 1,406. United Kingdom About Blog Hi My name is Greg and I’m a Gambler. A lot of people struggling with gambling addiction and I'm one of them. The good news is that I quit many years ago and I would like to share with you the best way to quit gambling,and the best in my opinion way to start a new life after the gambling nightmare. Facebook fans 211. Twitter followers 332. Lake Worth, FL About Blog Arnie & Sheila Wexler Associates is a Gambling Addiction Counseling and Treatment Service. singapore About Blog My name is Bennie and I am a Gambling Addict.The road to recovery is always under construction. Stop gambling is just the beginning of a painful journey. Recovery is not about stopping gambling. Its about changing oneself to deal with life. The only thing I can do today is to change myself. Accept the current stage of life I am in and deal with it with the best of my ability. 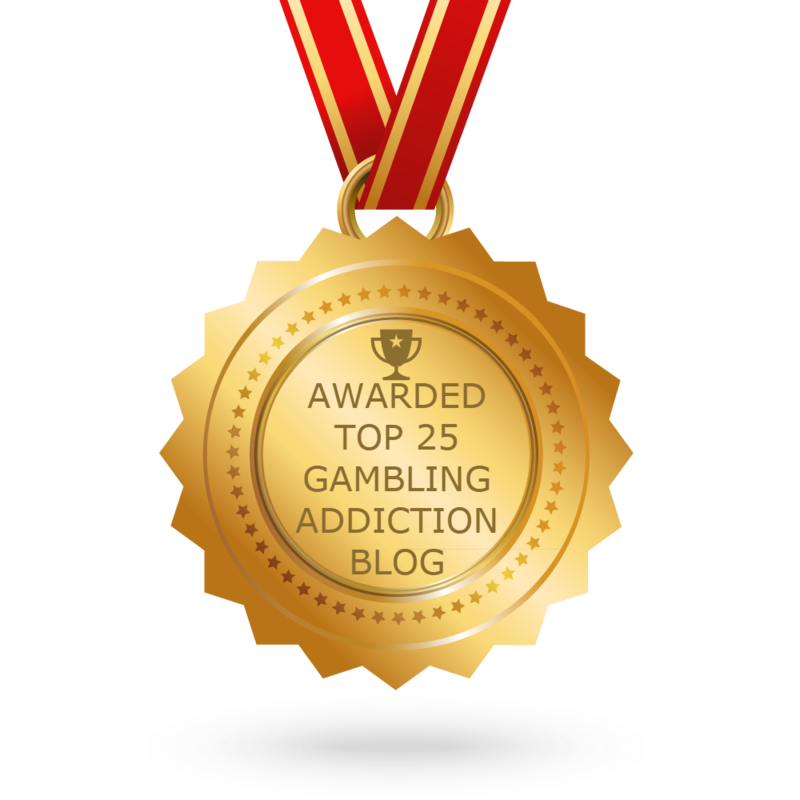 CONGRATULATIONS to every blogger that has made this Top Gambling Addiction Blogs list! This is the most comprehensive list of best Gambling Addiction blogs on the internet and I’m honoured to have you as part of this! I personally give you a high-five and want to thank you for your contribution to this world.